My lease ended, I threw and empty apartment party, I moved homes and now I’m building my neighborhood network up piece by piece. I’ve met two out of my five neighbors. I’ve figured out when trash day is. I’ve located the closest bus stop (yes I use public transpo to go to work!). And I’ve also begun to figure out where to run! My true running career, if you will, began about this time last year when my crazy friends decided that it would be a good idea for us to sign up and run a half marathon. I took a hiatus from running this summer because Houston is #hotAF. But now that the weather is cooling (aka not triple-digits) I’m beginning to build my tolerance back up as a runner and explore all the new neighborhoods around me. Today I took a nice [slow] run along the Heights Boulevard Trail. I started at 1-10 and weaved my way north along Heights Blvd. Historic houses, eclectic art and big trees line the trail. When I went at dusk, there were a fair number of other runners, walkers and dog walkers out there. I didn’t make it all the way up the trail–like I said building up strength–but I look forward to running further next time and making it all the way to the end before looping back. The whole trail stretches from 1-10 (around 4th Street) up until 20th Street. It’s just under 2 miles long (1.89 according to MapMyRun) so a nice even distance from wherever you park your car. I enjoyed running on the trail because it was woodsy, there was good people watching and the art and statues sprinkled along the trail are just so random and perfect! Like what you see? 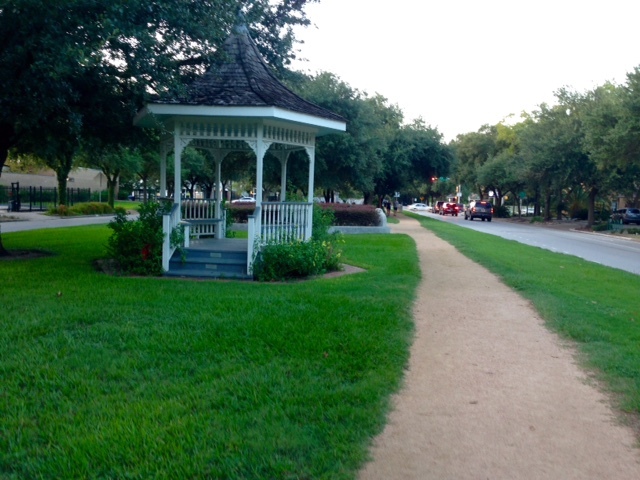 Check out my Chronicles of Swimmer who Dabbles in Running series and then these 12 Beautiful Places to Run in Houston. 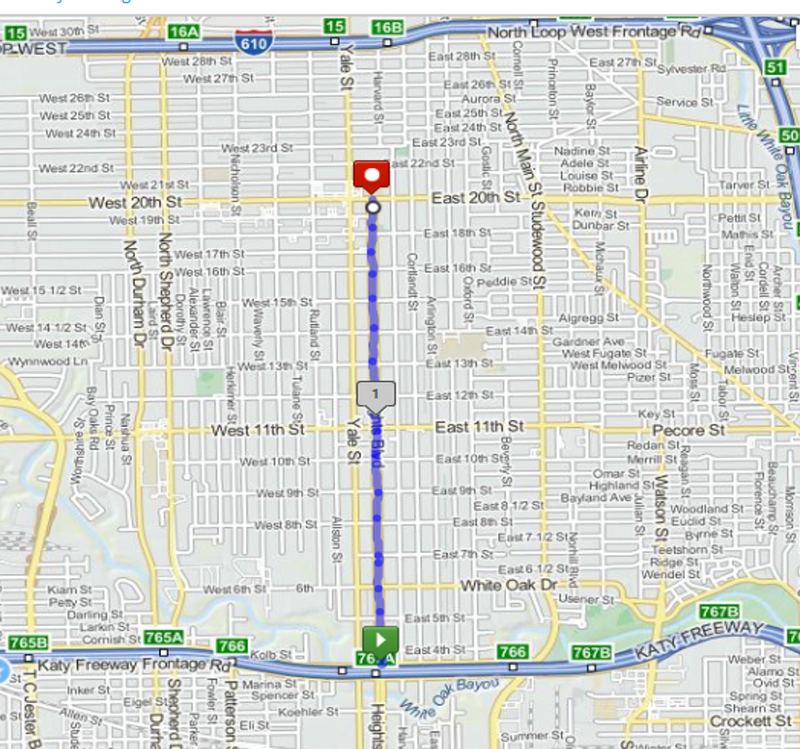 Tags: Heights Boulevard, houston, map my run, running, The Heights. Bookmark the permalink.